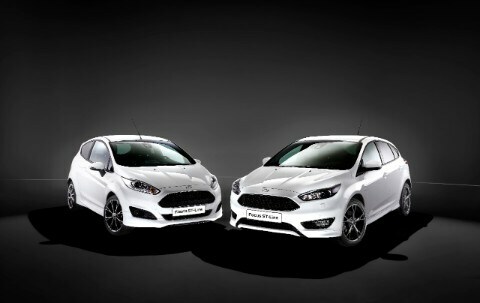 Ford of Europe has launched a new ST-Line range of models and now a Fiesta ST-Line and Focus ST-Line are available to order. The new ST-Line models boast exterior and interior designs that have been inspired by the Fiesta ST and Focus ST performance cars. Some experts are saying that the new sport suspension, unique body kits, alloy wheel designs and other sporty designs that the ST-Line vehicles will feature will increase Ford car sales in Andover and the rest of the UK. The new Ford Focus ST-Line and Fiesta ST-Line cars come with the award-winning 1.0-litre EcoBoost petrol engine as well as a host of other sporty features. Speaking to the Ford Motor Company Media Center, Roelant de Waard, who is the vice president of Marketing, Sales & Service for Ford of Europe, said, “With our new ST-Line range even more customers can experience sporty style and driving dynamics inspired by our most exciting Ford Performance line-up ever, that includes models such as the Focus RS, new Fiesta ST200 and Ford GT supercar. The Fiesta ST-Line model is available in three-door and five-door bodystyles, whilst the Focus ST-Line car boasts five-door and wagon models. Some other sporty features that the new ST-Line models will be boasting include a rear diffuser, sports seats, a perforated leather steering wheel and powerful and efficient engines. It has also been revealed by Ford Europe that more models within the ST-Line range will be released before the end of the year, although which particular models they are has not yet been announced.